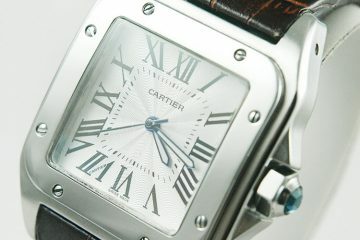 Cartier remains on the most renowned luxury goods manufacturers in the world today. They are a brand that exudes elegance with every product, be it their range of stunning jewellery or incredible wristwatch collections. The Cartier men’s wristwatch collection remains one of the most desired for collectors, celebrities, and even royalty, with some of the world’s most affluent regularly seen wearing a Cartier timepiece. Hallmarks of a Cartier wristwatch includes elegant designs, unmatched craftsmanship, robust functions, and just an all-round beautiful piece. 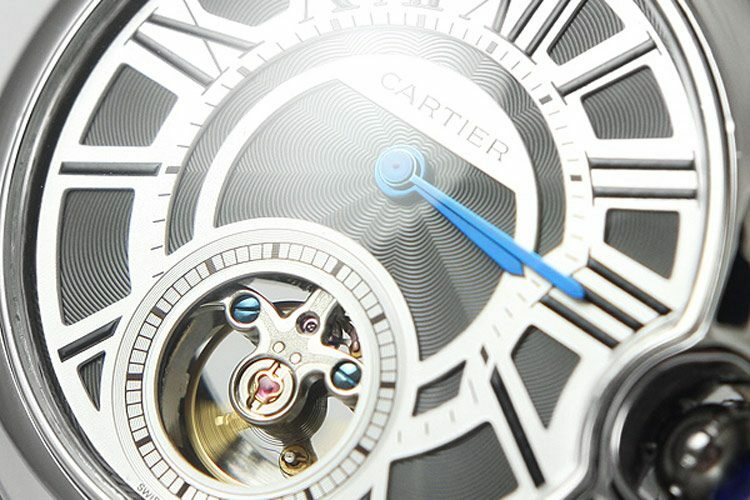 There’s a reason Cartier are regarded among the best watch manufacturers after all! 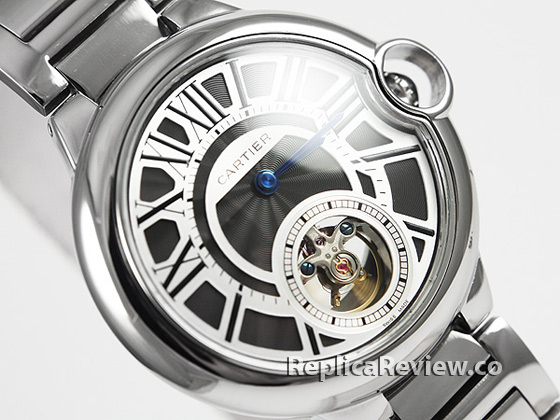 Perhaps one of the finest examples of a Cartier wristwatches is the breath-taking Cartier Tourbillon W6920021. You could be forgiven for regarding this particular watch as a piece of art rather than simply a timepiece, as this is simply an incredible example of luxury watchmaking. It was the first Cartier crafted watch to feature the Geneva Seal hallmark, marking yet another lofty achievement for the already esteemed watch manufacturer. The Cartier Tourbillon W6920021 is an extra-large (46mm) Flying Tourbillion model with a 18K white gold case, Cartier 9452MC Calibre, slate guilloche dial with blue hands (stylised as swords) and roman numeral hour markers, and is finished with a luxurious black alligator leather strap. All-in-all, a beautifully designed watch that is constructed with some of the highest watchmaking skills found toady. 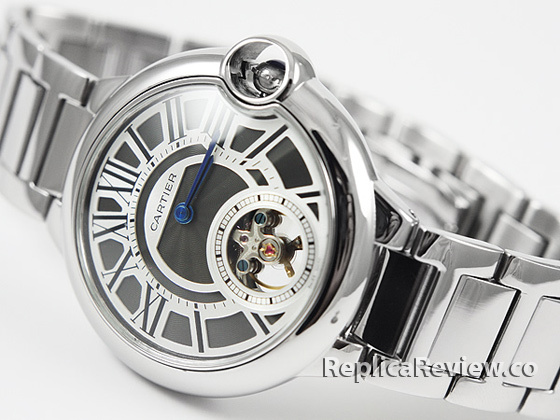 Because of its reputation however, there are many fake Cartier Tourbillon W6920021 replicated and sold, and they can often be difficult to spot from the real thing. Determining whether a Cartier Tourbillon W6920021 is fake or genuine can be difficult if you are unsure of what to look for, but thankfully it can become simple to notice these once you understand what they are. One of the first areas to inspect in Cartier Tourbillon W6920021 to see if it’s the real thing is the inscriptions. 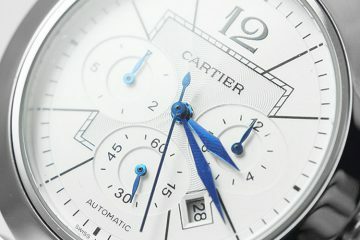 All movements crafted by Cartier will feature a ‘Cartier’ engraving, which can be viewed when removing the transparent caseback. The Cartier Tourbillon W6920021 features a Cartier 9543MC calibre, and should feature an inscription. 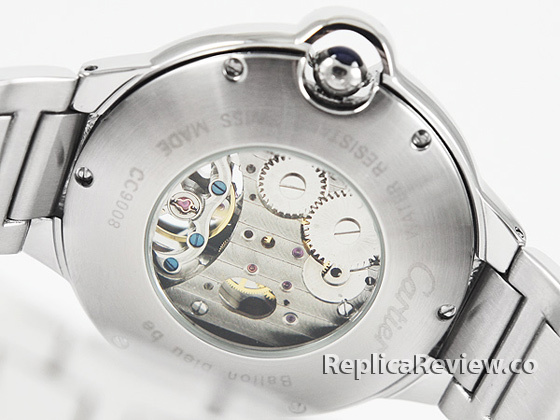 Likewise, the serial number is etched onto the white gold case of the watch and is another sign that it is authentic. However, these can be imitated for replica models, so be sure to thoroughly inspect all inscriptions on the Cartier Tourbillon W6920021. A fake version will have poorly imitated inscriptions that will is of a much lower quality. Any real watch will have significant weight to it thanks to the quality materials used to craft the timepiece, so a fake Cartier is noticeably lighter when weighed. In simple terms, if a Cartier Tourbillon W6920021 feels particularly light compared to other luxury watches, its more than likely a fake. The Cartier Tourbillon W6920021 uses sapphire crystal for the glass in the watch, meaning it will be fully scratch-proof. So, should the W6920021 feature scratches of any kind on the glass surfaces, it’s a clear indicator of a replica. Additionally, this material is non-smear, meaning that any water that makes contact with the glass should just roll off without leaving any sort of smear mark. 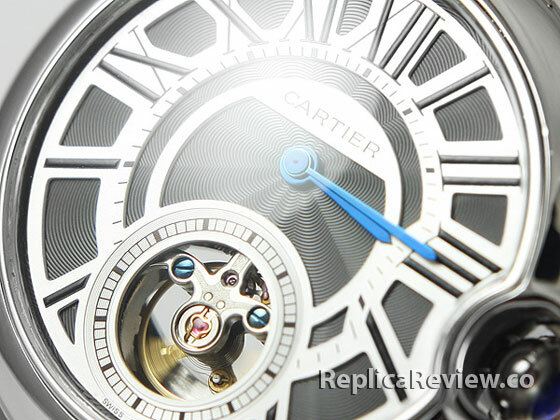 If this isn’t the case, then the Cartier Tourbillon W6920021 will be a fake. The cabochon of the Cartier Tourbillon W6920021 is a polished gem-stone, which is a hallmark of all luxury wristwatches so should be a great way to tell if it’s a fake or not. 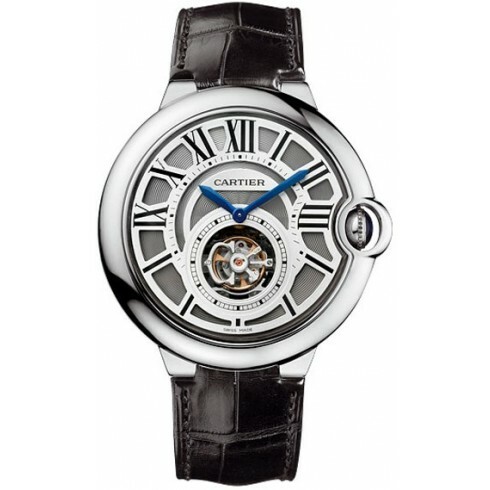 It is firmly secured to the white gold crown of the Cartier Tourbillon W6920021 and is made from a polished sapphire. This should be rather apparent, as the blue cabochon matches the color of the Cartier W6920021’s hands, so if there is no gemstone then its good sign of a replica. This model also features an arch over the crown and cabochon, making it one of the notable hallmarks of the Cartier Tourbillon W6920021 design. There are often fake cabochons attached however (although not always), so it may not be enough to simply look at this feature. Instead, you should feel the crown and the cabochon attached to it, as it will not feel 100% secure due it usually being glued down.